On Nov. 20, 350Montana.org hosted a mock trial of “Valve Turner” Leonard Higgins at the University of Montana in Missoula. One of the witnesses was Steve Running, a Nobel Laureate scientist who gave 10 minutes of expert testimony on climate change. At the end of the mock trial, Higgins was acquitted. Two days later and four hours north, Higgins’ real trial in Chouteau County District Court played out differently. There, scientific evidence about climate change — the core of what activists call the “necessity” defense — was not allowed. And so, a few hours before Thanksgiving, a jury convicted Higgins of felony criminal mischief and misdemeanor criminal trespass after an hour’s deliberation. The conviction stems from his role in the most expansive, coordinated takeover of fossil fuel infrastructure ever attempted in the U.S.
On Jan. 2, Judge Daniel Boucher will sentence Higgins, a longtime state of Oregon IT manager and lifelong Oregonian. Higgins, who was featured in Street Roots last December, faces up to 10 years and $50,000 for the felony, and six months and $500 for trespassing. There are no sentencing guidelines, so Higgins doesn’t know whether he’ll get the book thrown at him or a slap on the wrist. FURTHER READING: How 5 activists stopped the flow of Alberta Tar Sands oil into U.S.
Whatever happens, the four-state action Higgins and the other Valve Turners spearheaded on Oct. 11, 2016 may someday be seen as a turning point in the fight against climate change denial. On that date the Valve Turners essentially shut down the flow of Alberta Tar Sands oil from Canada into the United States. By early 2018, the legal consequences — and the uneven sentences given in states with divergent politics — will come into focus. Fellow Valve Turner Michael Foster in North Dakota faces up to 23 years at his sentencing Jan. 18. By contrast, Ken Ward got 32 days and probation in Washington state, and Emily Johnston and Annette Klapstein may also get off comparatively lightly in Minnesota. 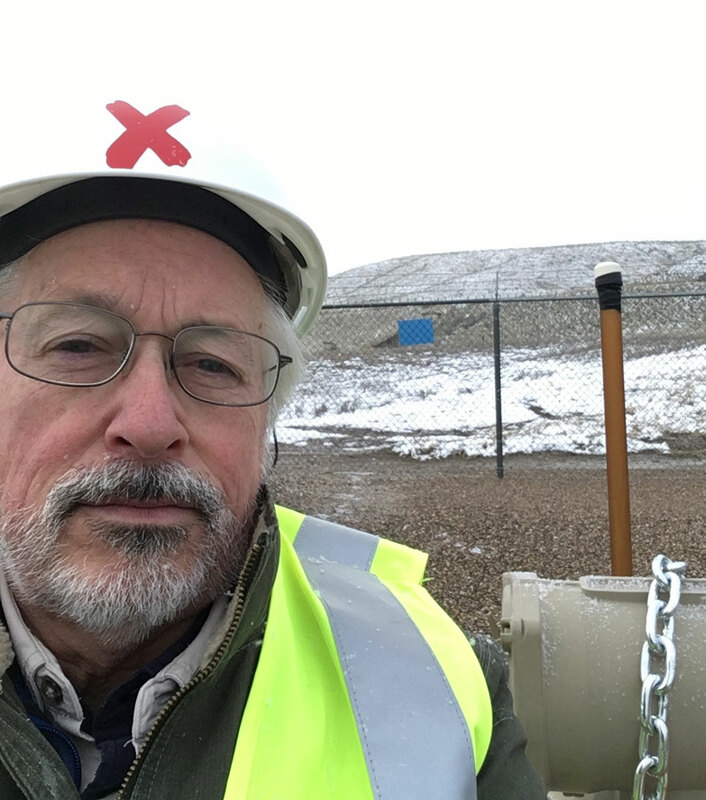 As in Montana, Washington and North Dakota courts disallowed the “necessity” defense, cutting off all connection between climate change science and the activists’ actions. In Minnesota’s fourth and last Valve Turner trial, however, the worm may finally turn. That trial will likely begin in February or March. In the meantime, Higgins isn’t kidding himself about what he’s facing at Fort Benton, the most inland port in the world on the Missouri River. That unemotional, plan-oriented response is pure Leonard Higgins, who admits he’s a “get-’er-done” kind of guy. Higgins’ approach isn’t based in radicalism, but rather science – the stuff he relied upon during three decades of information technology project management for the state. “I’ve lived my whole life pretty much out of responsibility and obligation,” Higgins said. “As an IT manager on large projects, I was the person who figured out how to get things done despite the red tape and challenges,” Higgins said. Yet he just became a felon because of his commitment to “mitigate catastrophic climate change and its effects on public health and the natural environment,” as attorney Herman Watson IV’s “Memorandum of Necessity” explains. The Valve Turners turned off five pipelines spread across four states carrying 2.8 million barrels per day of tar sands oil, often called the “dirtiest oil on the planet.” Their action was coordinated with the Standing Rock protests of the Dakota Access Pipeline. Now, as the Trump administration seeks to repeal Obama-era carbon emissions standards, push pro-coal policies and sell off public spaces like Utah’s Bears Ears National Monument, the court of public opinion is growing more receptive to environmental activism, graduating from activist media to mainstream publications. Higgins says being locked up is less scary than doing nothing. His basic moral calculus holds that what matters most is saving life on Earth. “We’re basically dooming our children and future generations to an earth that definitely will not support the life we’ve known and may not support us,” Higgins said. All five of the Valve Turners are from the Pacific Northwest. Less publicized has been the Valve Turners’ mature ages: all are in their 50s and 60s. One, Annette Klapstein, is a member of the activist organization The Raging Grannies. Those listening, however, are young. Some of the journalists arrested are in their 20s, and Higgins and other Valve Turners have been speaking at colleges across the nation. The mock trial in Missoula may have been merely an exercise, but it explored the essential idea of what is happening with our changing climate. One moment from his trial he’ll remember: As he left the courtroom after his conviction, a group of supporters from the Willamette Valley formed a semicircle and began to sing. “It was just a wonderful expression of support,” Higgins said. The song they chose to sing wasn’t the “Kumbaya” of the ’60s or the hip-hop songs often heard in today’s resistance actions.